Send flowers and candies in a wild and fun daisy-filled arrangement! 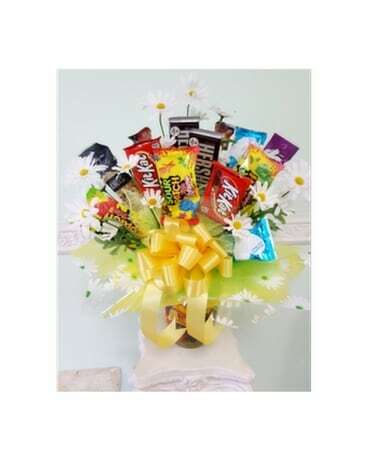 Silk daisies and daisy tissue circle a bouquet of candies in a yellow vase - and don't forget the fun size candies filling the vase! Orders placed outside of our delivery area must be a minimum of $45 plus sending fee.